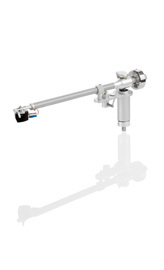 The VTA-Lifter offers simple, precise and repeatable adjustments of VTA. 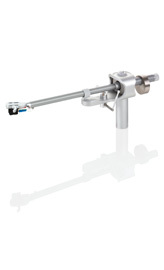 Precision-machined in stainless steel, the VTA-Lifter offers simple, precise and repeatable adjustments of VTA (vertical tracking angle) in 1/100 mm steps to ensure the perfect alignment of the stylus in the record groove. 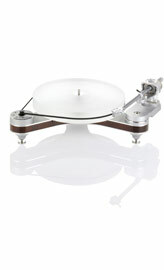 Fits all Clearaudio tonearms as well as those from Rega, Linn and ProJect. 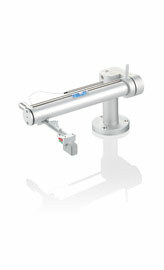 An extremely precise digital stylus gauge, with an accuracy of 0.05 gram. Calibration is automatic every time the scale is switched on. 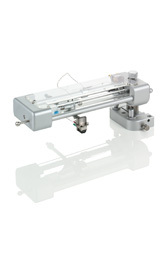 A calibration weight is also provided (and recommended for use approx. every three months). 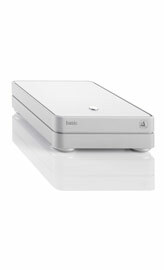 It takes two AAA batteries and include automatic switch-off to protect battery power. 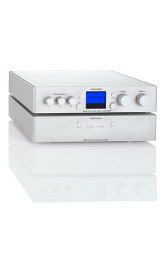 The Clearaudio uses good old AAAs meaning that spares are never far away, wich for me gives it the edge. ... this is about as near to the perfect product as you have any right to expect. 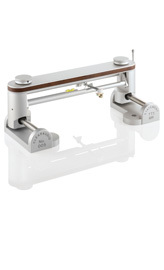 Precise aluminium alignment gauge for all radial tonearms. 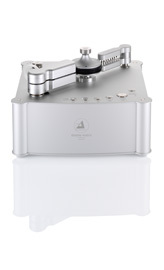 Aluminium high precision alignment gauge for all radial tonearms. IEC and various audiophile settings. Stroboscope test record incl. Speed light. 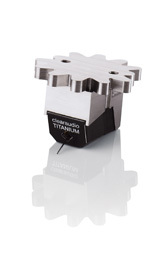 An extremely precise and stable headshell available in either aluminium or titanium. Despite its light weight of only 18.7 gram, it is extremely rigid, providing a very stable platform to extract the best from all MM and MC cartridges. Includes cartridge leads. SME compatible. 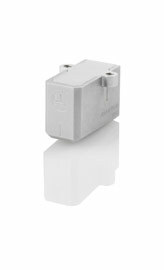 The well-known Clearaudio headshell cable set new refurbished with a new conductor material made of pure silver. 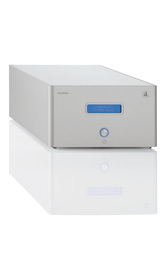 Silver is the most conductive material in the world and enables perfect sound transmission. 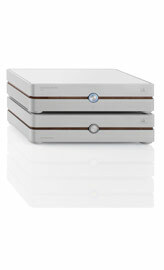 The Emotion Facelift Kit upgrades the Emotion turntable. 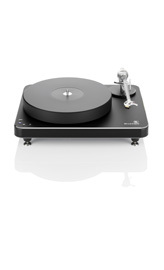 It consists of three cylindrical aluminium and rubber feet to add mass and improve the resonance control of the turntable's chassis. 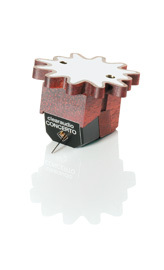 Clearaudio Perfect Points are a versatile, flexible and highly effective direct coupled support for your hi-fi components, featuring a ceramic ball fitted into a precision-milled housing. Perfect Points are M6 threaded. The ergonomic form of this record clamp is precision machined from aluminium, black anodized and finished with a silver rim. On the underside is a Teflon insert that locates over the spindle for frictionless positioning. 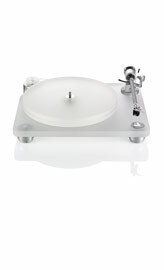 Designed for Clearaudio's 'new generation' turntables, it can also be used with almost any turntable. With a weight of 215 gram, height of 20 mm and diameter of 75 mm, it provides the best possible contact between record and platter as well as easy and ergonomic use. State of the art record clamp. Three point resonance absorption technology. Bullet proof wood and stainless steel sandwich. 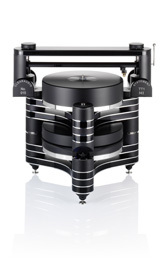 An ingenious record clamping unit, which is very flat and light, but very tight. 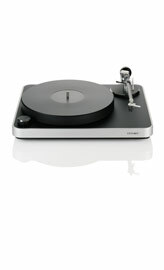 Compatible with all turntables. 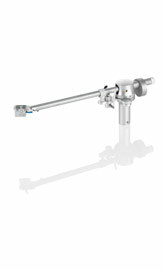 Massive record clamping unit, available in stainless steel. 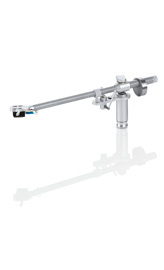 Designed for all Clearaudio linear tracking tonearms. 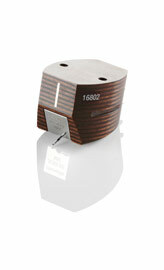 Massive record clamping unit, available in stainless steel. 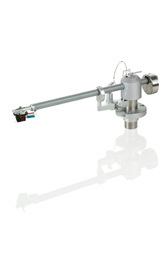 Designed for turntables with pivoted tonearms. 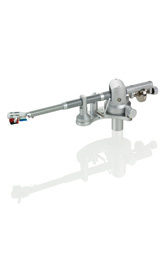 LP-clamping unit with resonance absorbing locking unit and stainless steel grip. 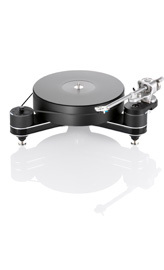 The precision milled Outer Limit improves vinyl replay by adding clamping the edge of the record, with its 1.5 kg weight adding to the flywheel effect and flattening minor warps leading to a significant sonic improvement. 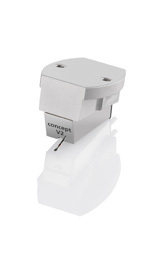 This small level gauge is a great aid in accurately checking and setting the cartridge VTA and Azimuth. Each High Precision Level Gauge is accurately calibrated by hand on a precision calibrated surface plate at the Clearaudio factory to guarantee most precise level measurements. 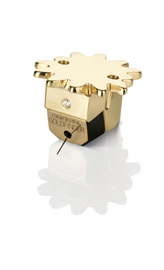 A centric drilling in the bottom allows the High Precision Level Gauge also to be used as a record clamp. Clearaudio Stylus Cleaner is safe for use with even the most delicate cartridges. Safe cleaning device for your diamond stylus. Combine with our Elixir of Soundcleaning fluid (above) for the best possible stylus care. 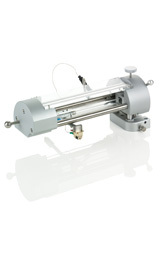 Shapely stainless steel centering unit for use with singles. Completely synthetic, long-lasting turntable bearing lubricantprovides ultra low friction and keeps your platter running smoothly. Extremely rigid and polished ceramic bearing ball with polished outer surface for improving turntable platter bearing performance. Available in 8mm and 12mm diameters. 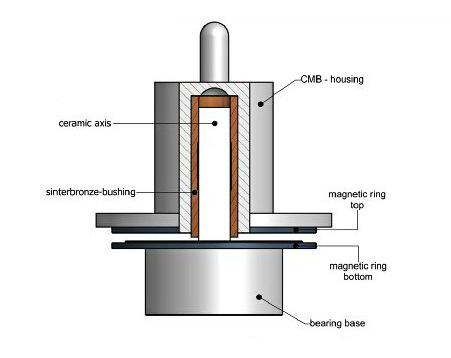 Clearaudio's patented Ceramic Magnetic Bearing (CMB) is the result of long-term research and development. Two opposing magnetic fields are perfectly aligned one on top of the other, thereby rejecting each other. The magnetic fields are completely shielded from the outside through the careful application of very sophisticated materials. 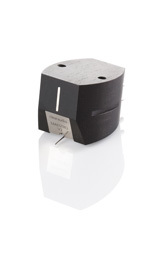 A high precision ceramic vertical shaft fits perfectly into a bronze bearing. This perfect fit is essential and can only be achieved through the highest precision hand polishing. High-performance synthetic oil is used for lubrication. The combination of these carefully selected components produces the effect of the turntable platter effectively floating on an air cushion, rather than on a ball bearing or bearing point. The result of this technology? One of the lowest levels of friction in turntable bearing design, previously unreached rumble measurements and an unbeatable new standard in speed accuracy. Drive belt concept, Performance DC and Ovation. Drive belt for Master Innovation. A new take on the turntable mat: essentially a vinyl record with one blank side which rests against the platter, while the upper side has a fine textured finish designed to interact with the grooves on a record. The result? 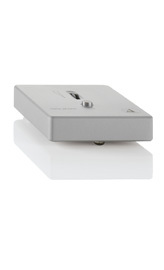 The best possible vibration-free contact between record and mat and dramatically reduced surface noise. 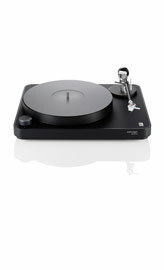 The Clearaudio platter mat made of black leather offers optimal coupling to the platter and damps effectlic resonances. 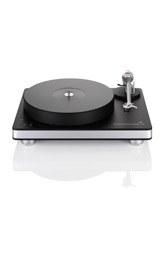 The Clearaudio Dustprotector is not only an eye-catcher on your turntable, it also prevents the accumulation of dust on the turntable, so you don't have to clean the platter before using it. The tool to tune the optimal and exact speed of your turntable. 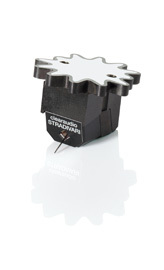 The Stroboscope's break-in groove creates the additional stylus drag necessary to accurately measure the real-time speed of your turntable, and can also be used to break in new cartridges. For the best possible accuracy, use in combination with our Speed Light (below). 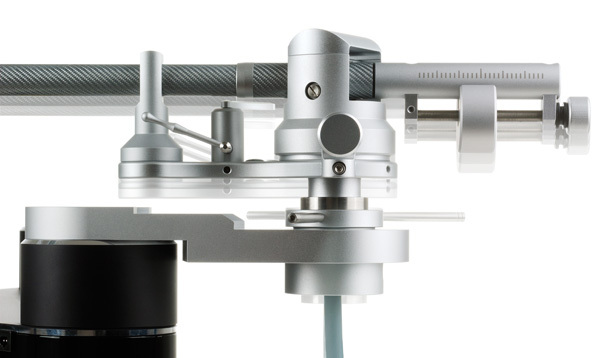 If you'd like to learn more about the tracking abilities of your tonearm-cartridge combination, this test is a perfect tool. 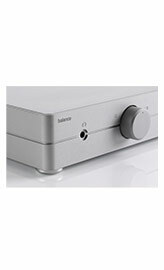 The higher the value, the better your tonearm-cartridge combination should be able to track even heavily modulated grooves without audible distortion. 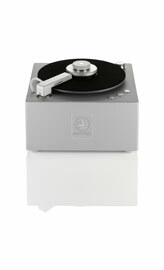 Phono cartridges usually need a running-in period to reach their full sonic potential. 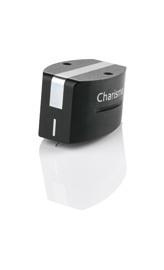 This take anything from 40 to 100 hours, depending upon the manufacturer, design and construction of the phono cartridge. This Clearaudio Cartridge Break-In Record is a unique tool. Playing an endless groove cut with pink noise significantly reduces the length of the break-in period. 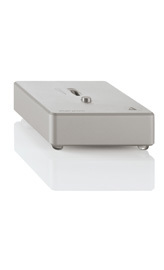 Enables exact adjustment of your turntable speed by keeping the light source independent from fluctuations in the mains frequency and voltage, which would otherwise give distorted results. 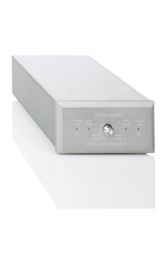 A quartz oscillator generates an accurate 300 Hz light source, making precise speed adjustment easy when used in conjunction with the Clearaudio Stroboscopic Testrecord (above). 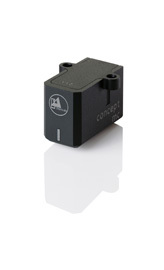 Providing unbeatable accuracy! 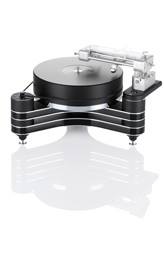 The Stroboscope Testrecord together with the Speed Light give the best results in adjusting your turntable speed. Leather Bag for comfortable transport of Records. The shoulder bag with adjustable belt allows comfortable transport of up to ten records. The material mix of high-quality natural leather and canvas material guaranteed by tensile strength and durability high protection for your Record collection. With metal feets at the bottom. Cleans all electronic contact parts and improves audio as well as video quality. 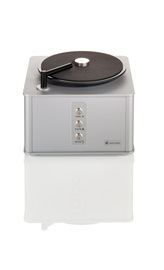 Update your Innovation or Innovation Compact turntable with a new flat belt and the accompanying pulley. Deliveed with custom installation tools. The kit for professional turntable care. Contents: Pure Groove record cleaning brush, carbon fiber record brush, diamond stylus cleaning brush, Elixir of Sound diamond cleaning flui, acrylic polishing paste, 100ml Pure Groove record cleaning fluid, 100ml acrylic cleaning fluid, screwdriver and microfiber cleaning tissue. Supplied in an elegant wooden box. The Professinal Analogue Toolkit provides everything necessary for perfect turntable, arm and cartridge set-up and alignment. 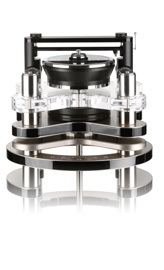 The rugged high quality case contains a high-precision tonearm and cartridge alignment gauge, stroboscope disc and 300Hz Speedlight, Weight Watcher stylus pressure gauge, cartridge set-up test record and many other high quality tools and accessories. Our highly effective polishing paste easily removes little scratches from acrylic surfaces. 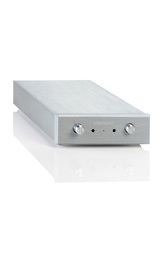 Designed to be placed under the spikes of your hi-fi components to protect your hi-fi rack from scratches and provide very good damping properties. A stainless steel concentric counterweight designed to lower the centre of gravity and hence improve the performance of Regatonearms. A thumbscrew is fitted for comfortable editing. 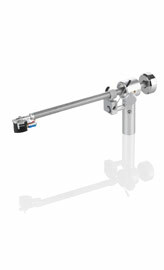 Designed for Rega RB 250-type tonearms, this stainless steel counterweight shaft replaces the original Regaplastic version. 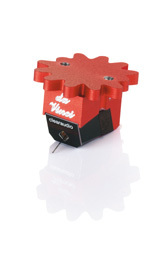 An easy to use tool that quickly corrects undersized spindle holes – fitted with an ergonomic aluminum handle.